he Isle of Man’s Gambling Duty Act 2012 will come into operation on January 01, 2014 if it is approved by the local parliament, Tynwald. The Act, which received Royal Assent in October 2012, replaces the former general betting duty, pool betting duty and online gambling duty with a single duty of excise called “gambling duty.” The Act repeals and replaces various provisions contained in the Pool Betting (Isle of Man) Act 1961, Betting Act 1970 and the Online Gambling Regulation Act 2001, which are concerned with the relevant duties. The Act does not deal with machine games duty, lottery duty on National Lottery games, or land-based casino gaming. The rates and bases of liability for operators of the new gambling duty under the new Act will remain the same as currently apply for the duties being replaced. However, the new provisions are designed to be more flexible, and so better able to deal with technical or other developments. In this way, the Act is designed to create a consolidated and robust legislative framework underpinning what has become an important business sector in the Island, while allowing for future development of an innovative and fast-moving area. Previously a business had different laws and procedures to follow in accounting for duty, and governing its dealings with Customs and Excise, depending on whether the business was a local bookmaker, pools promoter or online gambling operator, with different forms, public notices etc. From January 2014 there will be a single structure. Where existing operators have been granted any permissions or exemptions, these will continue under the new duty regime. Furthermore, while any new operator intending to undertake dutiable operations on or after January 01, 2014 is required to provide the Treasury with 7 days prior notice, anyone who was already accounting for the duties being replaced will not be required to give such notification. Any credits or losses as accrued will also be transferable to the new duty. 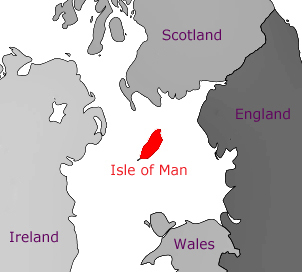 The Isle of Man government announced on October 18 2010 that it had been notified by the Stock Exchange of Hong Kong that the territory has been accepted as an ‘approved jurisdiction’ for the purposes of the listing of its companies on that exchange. In gaining approval, the Isle of Man joins a select group of countries which have been accepted by the Hong Kong Listing Committee. In the case of the Isle of Man, companies incorporated under the two main bodies of company legislation in the Isle of Man – the Companies Acts 1931-2004 and the Companies Act 2006 – can be listed on the Exchange. Juan Watterson Political Member of the Department of Economic Development responsible for financial services, added: “This paves the way for the Isle of Man to attract foreign issuers to list on the HKSE. In recent years, the island has become the leading jurisdiction for listing foreign companies on the UK’s AIM market; a number of our commercial law firms already have considerable international expertise working with Asian lawyers including equity and debt issues by Isle of Man companies on other Asian exchanges and in some cases have representative offices in Asia. We are constantly looking for ways to improve and build on the Island’s international reputation as a high quality International Business Centre, and this listing approval is a further example of this commitment”. For his part, Minister for Economic Development, Allan Bell, said: “The Hong Kong Stock Exchange is assuming greater importance among the leading capital markets. Given the Isle of Man’s proven credentials in Asia and unique status, for example, in facilitating manufacturers in greater China to import goods into the European Union, we see this endorsement by the Hong Kong Stock Exchange as further strengthening the role that we are able to play in enabling international trade.